...... Minimum time record increments are down to a second. Billing and cost rating. Export reports to other applications. Direct printout of reports. 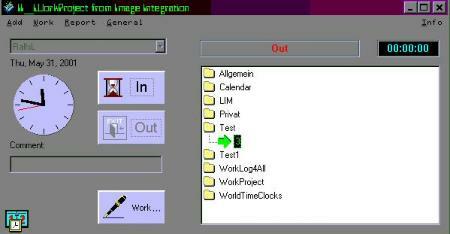 Windows taskbar integration. Softick Card Export II is a necessary tool for your Pocket PC. Stand-Alone reservations system for two golf courses. Qweas is providing links to II_WorkProject 4.4 as a courtesy, and makes no representations regarding II_WorkProject or any other applications or any information related thereto. Any questions, complaints or claims regarding this application II_WorkProject 4.4 must be directed to the appropriate software vendor. You may click the publisher link of II_WorkProject on the top of this page to get more details about the vendor.